Luckeyfrog's Lilypad: Guest Blogger Jennifer- Common Core Math Word Problems! Guest Blogger Jennifer- Common Core Math Word Problems! Surprise! 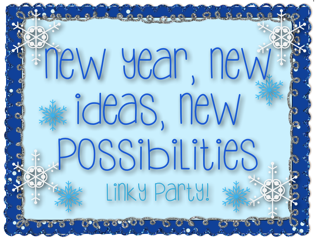 Today I’m participating in a special linky party by welcoming Jennifer as a guest blogger. Hey! It’s Jennifer from the Elementary School Garden. I’m super excited to be guest blogging about creating Common Core aligned word problems to use in your classroom. We all want our students to grow as mathematicians and as an added bonus…succeed on standardized tests. Incorporating more thought-provoking, relevant word problems can make a huge difference. So, how do we create Common Core aligned word problems? The most important documents I have found are Tables 1 and 2 of the Common Core Standards for Mathematics. These tables break down the different ways to write an addition, subtraction, multiplication, or division problem. I model my word problems after these varied examples. #1 – Use Table 1 and 2 as a guide. Observe the different ways that word problems can be laid out and model yours after them. You want students to be exposed to a variety of formatting and questioning language and these tables will help with just that. #2 – Connect the math to real world situations. Make the problems relevant for students. #3 - Use your students’ names. A smile always creeps across my students’ faces when they see their name written on a worksheet. #4 – Mix them up. If you provide students with only addition problems all week…they are immediately going to think the next problem is addition. Mix up problems with various operations so that students figure out how to determine which operation is needed to solve the problem. Lately, I have been creating worksheets that contain just one math word problem. I pair students up to collaborate and solve the problem. I encourage them to show their work in as many ways as possible. I prompt them to explain how they found their answer and write about it. After providing students time to read, solve, and discuss their answers with partners, we then regroup and discuss the solutions as a group. I strategically select students to come to the board and demonstrate how they solved the problem and to discuss how they arrived at their solution. While students present I make connections between their answers and guide them. I’ve created packs of these word problems and have a little freebie to share with you. Included is a word problem worksheet for addition, subtraction, multiplication, division, and a 2-step problem along with a blank worksheet for you to create your own word problem. Download my Woodland Animal Problem Solving Sheets for free! Want more common core aligned math word problem resources? 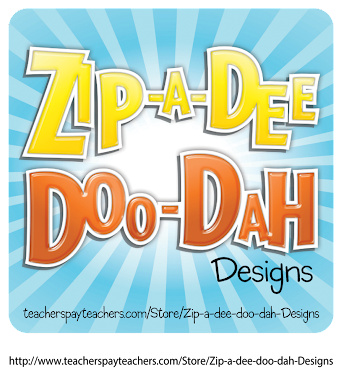 Check out my blog for links to my products and a chance to win my math problem packs for free! Thanks so much for stopping by and bringing an awesome freebie, Jennifer! I can’t wait to use those tables and resources in my students’ math journals. Once you’ve gotten a chance to visit Jennifer, hop on over to Simply Skilled in Second, where I’m guest blogging today about Stairstep Editing! For a full list of the bloggers participating in today’s swap, check out Primary Possibilities. Thanks, ladies! Loved your guest blog post about Stairstep Editing!! I also liked your "Spice Up Your Writing" anchor chart!! Thanks for sharing your ideas!! Thanks for hosting me as a guest blogger. I love your post about editing writing. My students can easily edit someone else's writing, but struggle with editing their own work. Your ideas are very creative! CFC Challenge- Week 2- Organizing Rules!